When looking into the night sky, it may be hard to wrap your head around what you can and cannot see – there is far more than meets the eye beyond earth’s atmosphere. While the night sky offers stunning views such as the aurora borealis and constellations, these phenomena hold much greater significance for many cultures around the world, including many cultures here in Canada. The Indigenous peoples of Canada have used the night sky to explain the happenings of life for centuries, allowing them to develop a rich culture. Through examining the relationship between science and stories of the sky, we will explain how Indigenous cultures used the night sky to share their beliefs, specifically through looking at the stories of the Cree peoples. The research question we seek to answer is, how do we know Cree stories are used by the people to share their perspectives and theories about the night sky and the science within their culture? 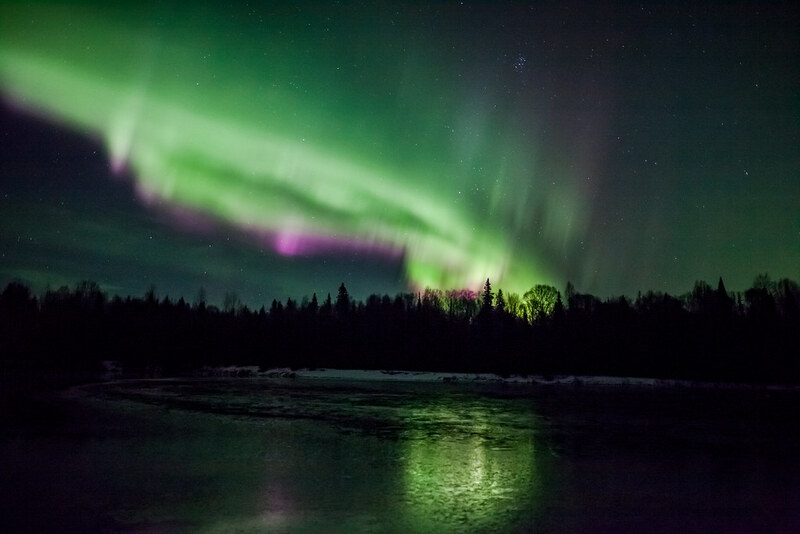 For the Cree people, the Northern Lights are believed to be their ancestors dancing in the sky. When an ancestor is moving from Earth on to the next world, their spirit dances as they make their way to the door of the next world.3 This dancing carries them to where they will meet with their ancestors and begin their spirit life. The Cree people also believe that when they perform traditional ceremonies and dances, as well as live properly on Earth, their ancestors in the sky dance, therefore, the Northern Lights dance in the sky. This dance in the sky connects to the scientific explanation of the Northern Lights as scientists also say a dance like motion occurs, rather, they explain the collision as being between electrically charged particles from the Sun and gaseous particles in the Earth’s atmosphere. These collision scientists describe as bursts in the sky and the dance of the Cree people’s ancestors could both be seen as messages sent to people on Earth. Either a message from their ancestors or knowledge to scientists about where charged particles from the sun are traveling within our atmosphere could be received. Although these two different perspectives on what the Northern Lights are and where they come from vary, they both hold their own type of knowledge to be shared. Figure 3-Ursa Major Constellation. Source: https://commons.wikimedia.org/wiki/File:Ursa_Major_constellation_Hevelius.jpg#globalusage. Permission: https://creativecommons.org/licenses/by-nc/2.0/Author: Johannes Hevelius – Scanned by:Tronsten Bronger. There are many legends that surround the Ursa Major Constellation. One in particular is the legend from the Cree peoples about the Big Bear (Big Dipper) . The legend begins with the Great Bear waking in the spring after a long hibernation. The bear emerges from her den to look for food. The bear is then seen by a chickadee who calls upon other birds to help hunt the bear. There are six other hunter birds who join in, the Barred Owl who is the star known as Arcturus, the Blue Jay and Pigeon are the stars between Arcturus and the handle of the Big Dipper and Robin, Chickadee and Moosebird who are stars near the Big Bear. The hunters are eager for meat so they pursue the bear all summer long across the northern sky. By the beginning of autumn, the trailing hunters begin to lose their trail and drop out of the hunt. By mid autumn the three hunters overtake the bear. The blood from the bear causes the leaves on the maple to turn red and the bear’s white fat covers the land as snow. The skeleton of the bear lies on its back low in the northern sky for the winter months. The following spring the bear will reemerge from her den and the cycle will continue. This legend has many relations to regional geography, climate change as well as astronomy. The Big Dipper or Big Bear is part of the constellation Ursa Major.4 The Big Dipper is categorized as an asterism which is actually a star pattern not a constellation. The Big Dipper is comprised of seven stars, four of the stars form a shallow bowl shape and the other three form the shape of the handle. The Big Dipper can be seen high in the northern sky or low in northern sky. The Big Dipper is circumpolar in most of the northern hemisphere, which means that it does not sink below the horizon at night. 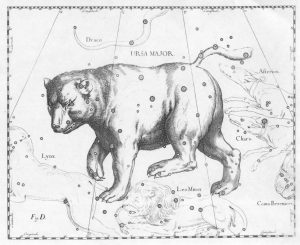 As a result of the Earth’s rotation, Ursa Major appears to rotate slowly counterclockwise at night around the north celestial pole. The story of the Big Bear shows this pattern of the Bear moving throughout the seasons. As the Cree people were populated in the northern hemisphere they would always be able to see the Big Bear and see her move counterclockwise. This movement is illustrated as the hunters try to follow and capture the bear. Wilfred Buck, from the Opaskwayak Cree Nation, tells the legend of the Sky People in a way that incorporates the science behind the legend. Wilfred is a science specialist that works with the First Nations Education Resource Centre in Winnipeg. In a video on CBC he said that all people around the world have their own stories about how we came to be here on Earth and legends that are formed when we as humans look up at the night sky.5 The following is the legend from the Cree perspective. 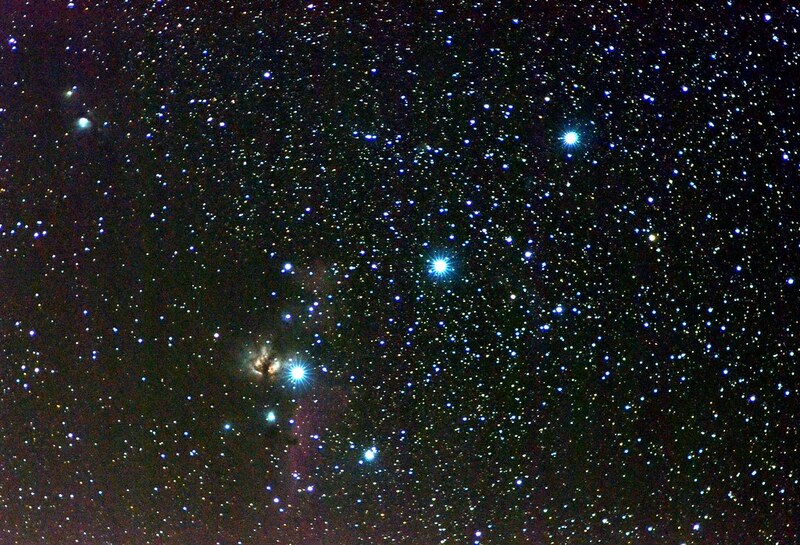 The three stars of Orion’s belt in the Cree culture form the belt of a warrior and that First Nations warrior is pointing to the point of entry, where we came from. That point of entry is referred to as the Pleiades, or in the Cree culture, it is called the hole in the sky. Grandmother spider sends a web from the hole in the sky to lower her people to Earth. This webbing is the umbilical cord, the connection of life between a mother to her children. The hole of the sky is also the entry back to where we came from after we have fulfilled our purpose on Earth. Therefore, we are star people, we come from the stars and return to the stars. Science calls this legend a black hole or sometimes a wormhole which is a spatial anomaly. When researching the anomaly, a significant amount of information was found that leads to more legends. Finding the facts or science in this spatial anomaly or unknown dark space has proven to be difficult. Scientist Stephen Hawking excitedly said, “life at the edge of a black hole isn’t normal.” The pairs of particles at the edge of a black hole come in and out of existence; it’s possible for one side of the coupled particles to fall in. This relates back to how Grandmothers web bring us to Earth. The particle that falls into the black hole has negative energy, whereas the particle that escapes from the black hole, has positive energy. The legend tells of a place to return to at the end of our journey, just as scientists have found a point where particles may enter and leave. However, “physicist believes this radiation exists. And that means that black holes eventually evaporate and even explode.” As we don’t know what has made it through the black hole, or what may make it through before it implodes, just as we too are made of star stuff, whether we make it back through at the end of our journey before the explosion is unknown. Examining the night sky from the perspective of the Cree people is an important step in understanding their traditions and beliefs. The sky and the objects within it have provided guidance for Indigenous peoples for generations, and their importance is always shared with the coming generation, most often through stories. After looking at and learning about the Aurora Borealis, The Big Bear/Big Dipper Story, and the Legend of the Sky People, we can develop a greater understanding of the Cree beliefs. As well, doing so provides a new perspective from which to view the world around us while also inspiring a new way of thinking. By taking this new perspective and acknowledging it within science, we can begin to understand how the Cree stories and beliefs may have originated.